The working memory is the ability to learn information to use it right away. It's the type of memory we use when we solve mental math problems or follow a cooking recipe. If you notice your child forgets the instructions as soon as they hear them or if they have trouble connecting new knowledge with previous knowledge, they might have a working memory problem. Fortunately, you can help boost their memory with these tips. Play card games: Card games are great way to strengthen your child’s mind. First, children need to remember the rules of the game throughout the whole game. Second, they need to remember their cards and the cards that other players have played before their turn. 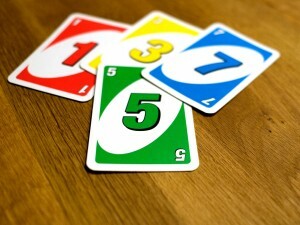 Lastly, card games provide family fun, so bust out the Uno! Brain foods: Your child’s diet has a direct influence on their academic performance. The brain is the first organ to receive the nutrients found in food. If the food isn’t nutritious enough, the brain won’t have the energy to function correctly. Your child will struggle to concentrate and memorize new information. Rhymes and songs: The brain is wired to learn music and patterns, which is why it’s easy for many people to memorize songs. If your child is a distracted auditory learner, turning their lessons into songs might help them remember better. Try this next time they’re studying for a test. Make it fun: Lessons that are fun and interesting are more memorable. Your child might find it tough to remember new information because they were bored or distracted during the lesson. Make learning fun by including games, field trips, or movies. If your child’s grades are dropping, it might be due to their inability to connect new and old knowledge. While your work on boosting your child’s memory, let the tutoring experts at The Tutoring Center, Bear DE help them catch up in school. Call The Tutoring Center, Bear DE at 302-419-4824 to learn about their tutoring programs.